In the months leading up to the launch of the IDA Enterprise Documentary Fund, we couldn't have anticipated the national public debate that would emerge about (of all things!) facts. It's been shocking and disturbing to watch US leaders question the value and existence of facts and to put some of their most stalwart guardians—journalists, judges and scientists—on the defense. In the face of an all-out assault on the press, IDA is committed to standing behind the independent storytellers and watchdogs that make up our community—in large part, through the newly created Enterprise Documentary Fund. Made possible by a generous grant from the John D. and Catherine T. MacArthur Foundation, the fund will disburse $1 million per year for the next four years, in the form of production grants up to $100,000 and development grants up to $15,000. The fund is intended to support primarily mid-career filmmakers producing feature-length, in-depth explorations of original, contemporary stories with a journalistic foundation or that incorporate journalistic practice into the filmmaking process. Many of you will wonder what is meant by "journalistic," and we want to be clear that it can mean many different things. From Yance Ford's quest to investigate his brother's murder in his artistic tour-de-force Strong Island; to Brian Knappenberger's Nobody Speak, which tells the chilling story of the Hulk Hogan lawsuit that bankrupted Gawker Media; to Bonni Cohen and Jon Shenk's fact-heavy (and terrifying) An Inconvenient Sequel, which takes a fresh look at Al Gore's passion for environmental conservation, as well as the state of our fragile planet—all of these filmmakers have a case to make about the role journalism plays in these works. "I started to wonder to what extent general audiences understand that what distinguishes documentary from journalism is that docs are interpretive; they have a point of view, rather than being straight reporting or documentation. Today, when doc filmmakers exuberantly employ elements from the narrative toolkit—re-enactments, animation, stylized staging—to create powerful nonfiction cinematic experiences, has a credibility gap emerged between the general public and the film community? Are our narrative strategies becoming obstacles to audiences trusting our films?" Leeman goes on to explore various filmmakers' interpretations of truth and the "creative strategies" they use to portray it. The spectrum of thought reflected in Leeman's article is a defining distinction between filmmakers and traditional journalists who are charged with publishing objective, verifiable truths. Social science bears this out. "Journalists have traditionally expected to provide an account that can be justified as balanced. Filmmakers generally expect their work to be seen as fair, but not necessarily balanced; they treasure the emotional power and resonance of a point of view, both of subject and of maker." In "Dangerous Documentaries," as well as a series of panels, meetings and interviews that informed the development of the Enterprise Documentary Fund, there was frequent, sometimes surprising, pushback to the notion that documentary filmmakers are also journalists. There's no question that structurally there are significant differences between the two, which I've experienced firsthand as someone who's had the luxury of working in newsrooms and as an independent director and producer. Whereas reporters are accountable to their editors and executives, filmmakers don't necessarily have others interrogating their storytelling or reporting. Nor are they beholden to standards and practices that shape everything from how to edit a quote without changing its meaning, to how to treat subjects with fairness, to the boundaries of interacting with sources, to expectations about how they comport themselves in their private lives (remember all those journalists barred from participating in the Women's March?). Filmmakers often navigate these decisions and major ethical quandaries alone, driven by their vision and not a corporate manual. If they're lucky, they can assemble a team that provides guidance and support when they need it. Often, it's through the generosity and experience of their peers that questions are answered and sticky situations discussed. It's also not insignificant that staff reporters have benefits and regular paychecks with the single-minded responsibility of reporting their stories and making deadlines, while filmmakers juggle paid work that may or may not have something to do with filmmaking. At the same time, filmmakers have opportunities that reporters rarely do: the time to deeply immerse themselves in their stories for months or years; the capacity to get close to their subjects and know them in deep and personal ways; and the ability to express complex, emotional narratives with complete artistic freedom. And there are also the in-person interactions filmmakers get to experience with audiences. It is the independence, creativity and ingenuity of filmmakers that make for the powerful, diverse and exceptional genre that is documentary film. At the same time, that prized independence carries with it an enormous amount of responsibility and risk. In recent years, it's become apparent that arming filmmakers with the knowledge and resources that are readily available to reporters could make a substantial difference in their practice and could help minimize their risks, while leading to more factually airtight work—even if it has a point of view. The mission of the Enterprise Documentary Fund is admittedly ambitious: It seeks to provide valuable resources and support systems (not unlike those in newsrooms) for filmmakers taking on the critical stories of our time. Originally sparked by the findings in "Dangerous Documentaries," the fund is a response to pleas from filmmakers themselves. In interviews recently conducted by Toni Bell, IDA's Filmmaker Services Manager, filmmakers reiterated the major findings in "Dangerous Docs": They want access to information about digital and physical security, research databases, legal and other experts, public relations strategists and mentors. And in advisory meetings composed of filmmakers and journalists, we found that there's information filmmakers should know, but don't (raise your hand if you can name the 12 two-party consent states). Working in partnership with other organizations and individuals, we hope to respond to these needs through individualized resources for grantees, in-depth clinics, online resources and articles in Documentary Magazine and hard-hitting sessions at Getting Real 2018 and other convenings. We've already negotiated insurance discounts for members. An understanding of freedom of information, news and legal databases, fact-checking and legal and safety risk-assessment should not just be the domain of staff reporters. At the same time, we hope to encourage filmmakers to continue to wrestle with the integrity of their work, deliver on the promises they make to their audiences, and ensure that information they're portraying as factual is indeed factual. The intention is not to force a label on filmmakers, nor to inhibit their artistic aspirations, but to help provide or steer them to the types of information and resources that journalists tap as a matter of course. But beyond the nuts-and-bolts, there's an unmistakable advantage to encouraging filmmakers to identify as journalists: laws and case law across the country protect journalists and their sources, as well as journalists' access to information. Journalist protections in the US, while far from perfect or comprehensive, are the envy of journalists around the word in developed and developing nations. Much like Pat Aufderheide, founder of the Center for Media & Social Impact, transformed the way we think about Fair Use, it's time to reassert filmmaker protections under the First Amendment. Exercising our rights to free speech and freedom of the press are critical for a healthy democracy. As I write this, these rights are clearly under assault, and we owe it to ourselves and to the public to staunchly call ourselves journalists and artists—they are not mutually exclusive. 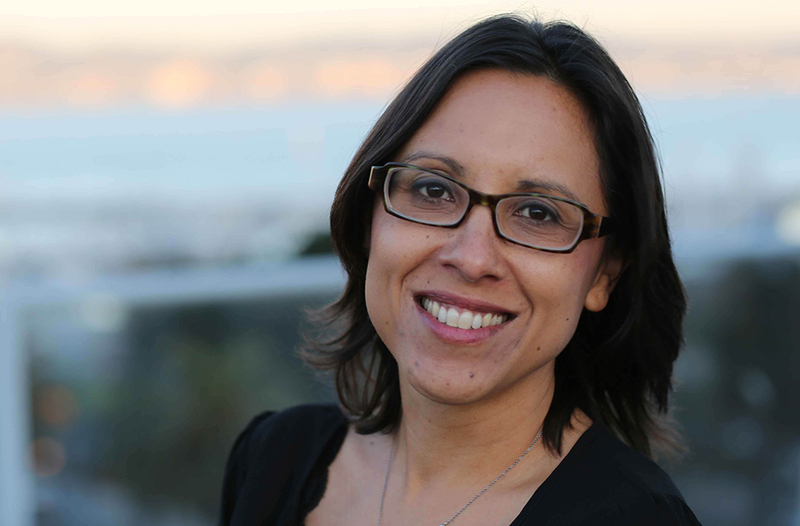 Carrie Lozano is Director of the IDA Enterprise Documentary Fund.